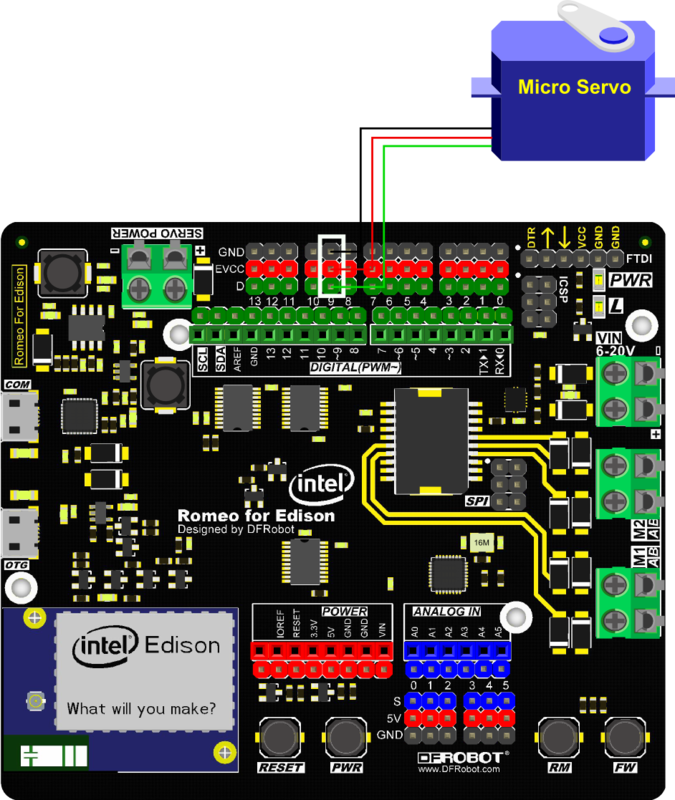 Note: We made a lot of update for "Romeo for Edison main board", to manage them easily we have moved it on github. 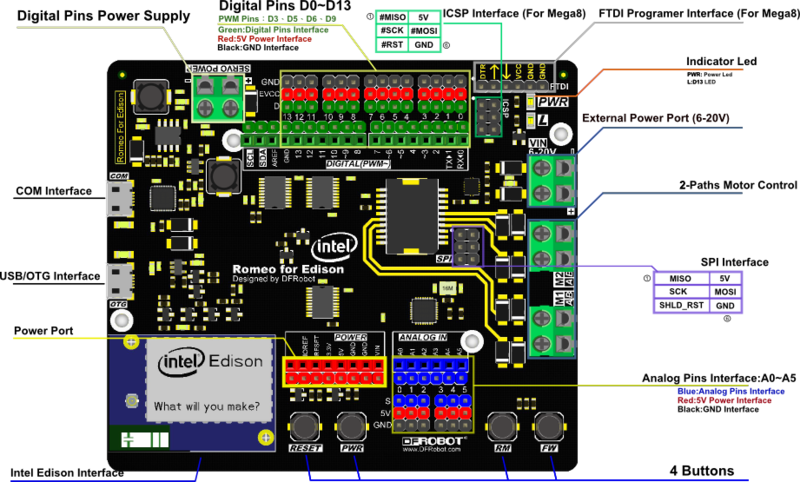 NG.ino is ATmega8 firmware; DFRobotEdison is Romeo motor and analog driver library. 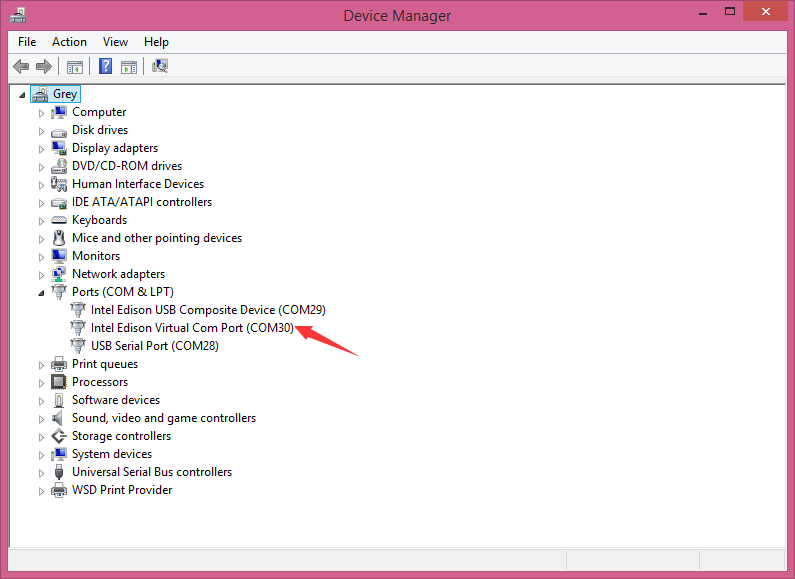 The product manufactured after Sep. 2015 have burned the newest firmware. 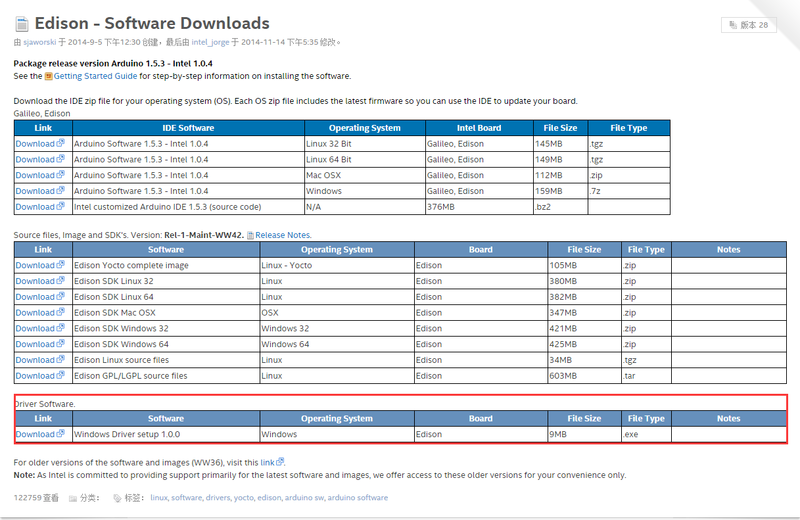 Please use the corresponding library to avoid bugs. 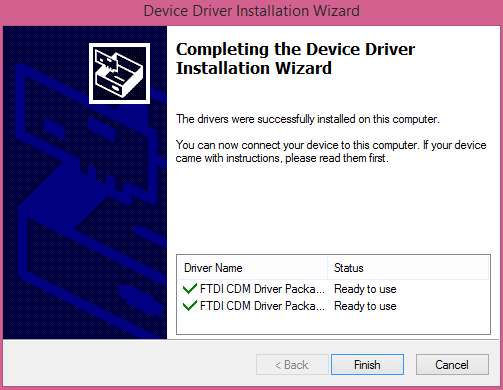 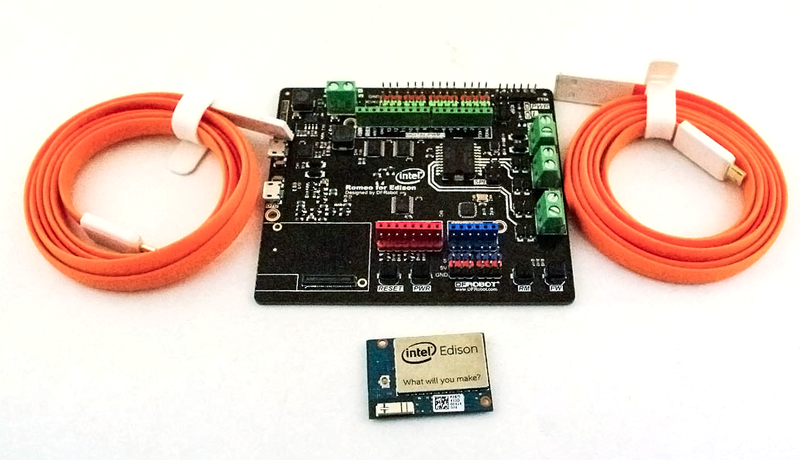 For the older product, you could update ATmega8 firmware to use the newest library. 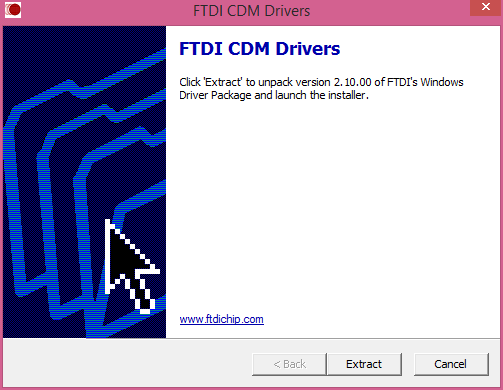 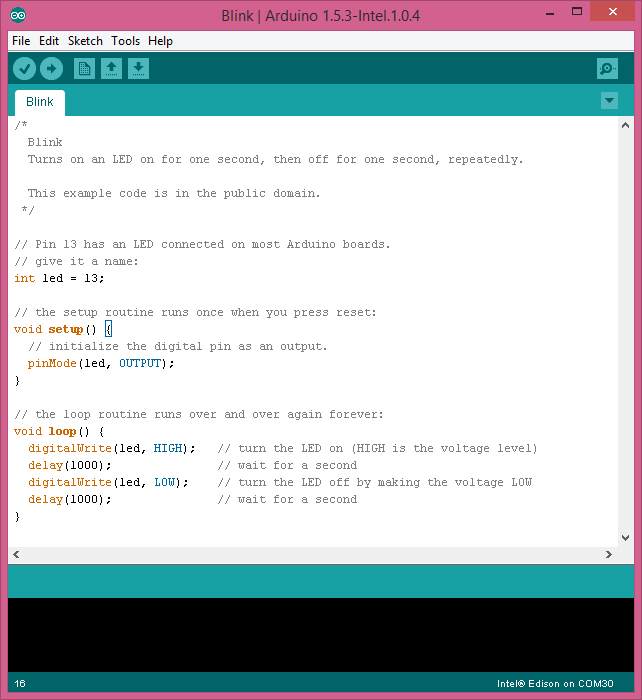 Leave the downloaded library file under Arduino library folder: e.g. 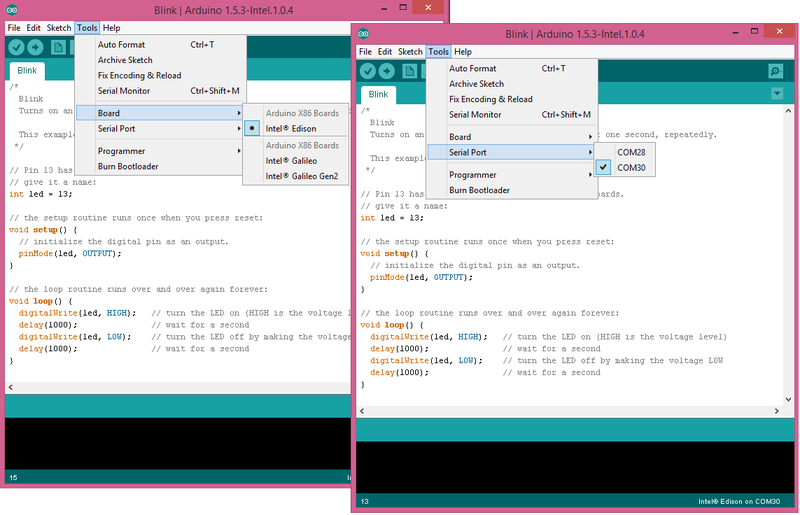 arduino-1.6.3\libraries Directory. 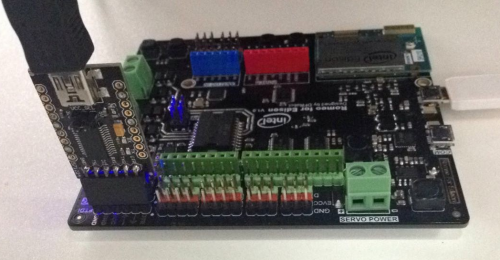 *Copyright (c) 2014, Chengdu Geeker Technology Co., Ltd. 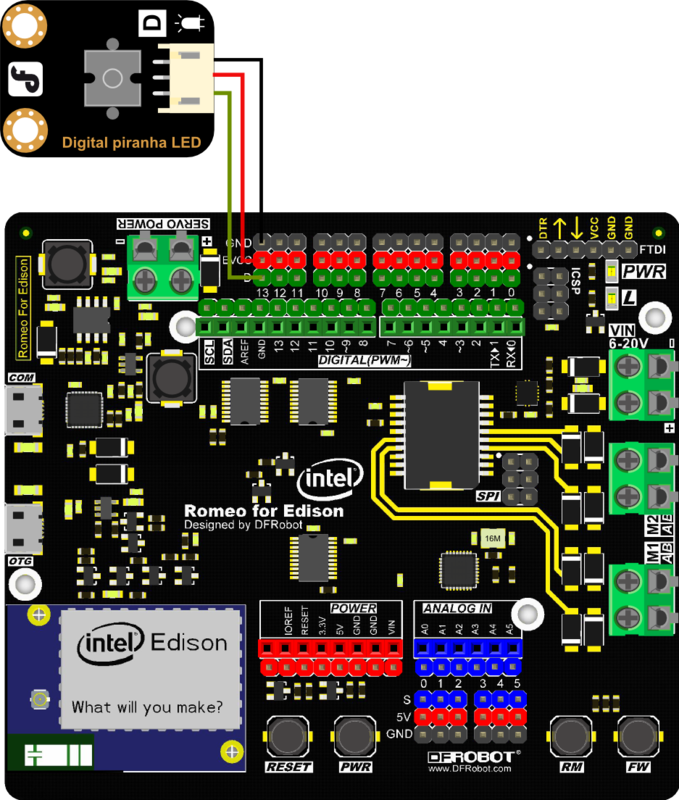 NOTE: As Romeo for Edison is using ATmega 8 as Analog pins driver. 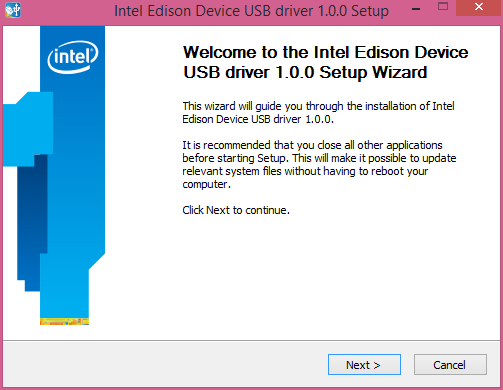 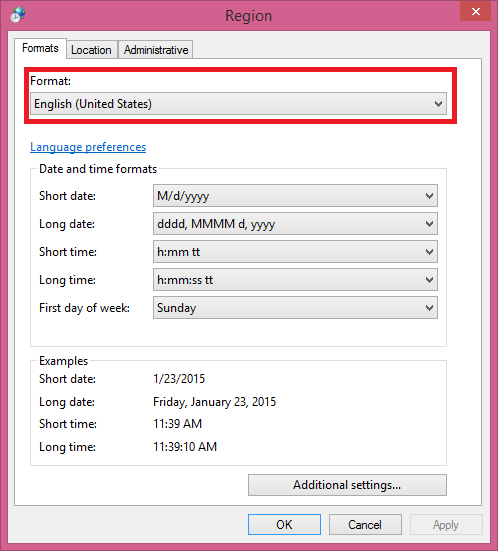 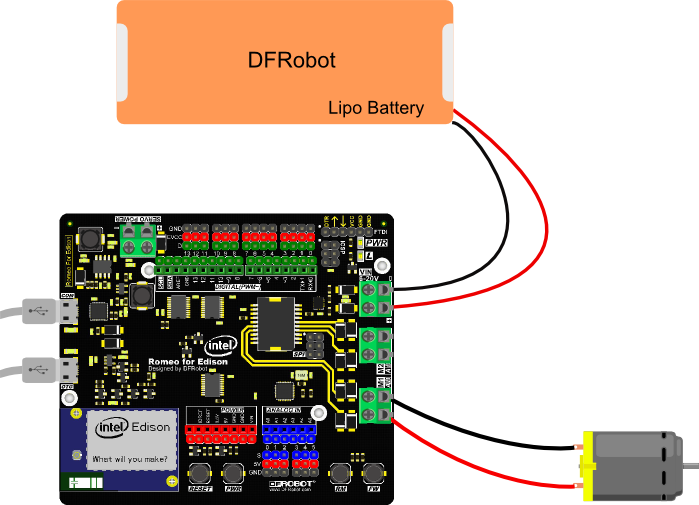 Please download the DFRobot4Edison library first. 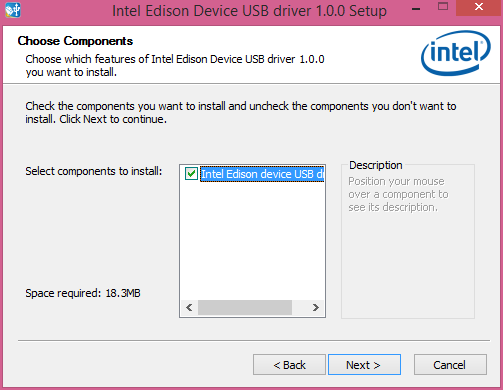 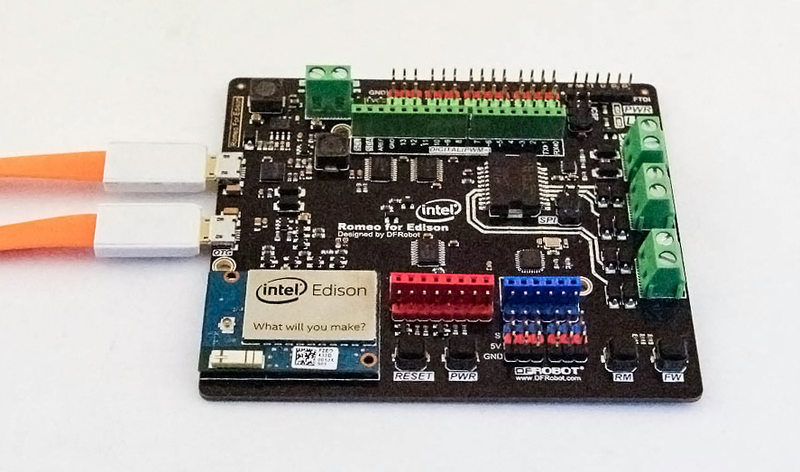 Sample code: Open Arduino IDE, Select Boards -->Intel Edison and COM port In this section, please down load the DFRobot4Edison library first. 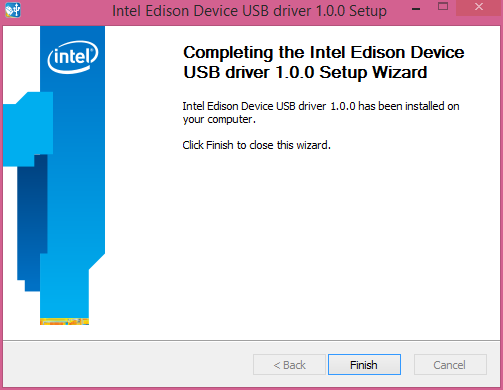 Update the last github firmware. 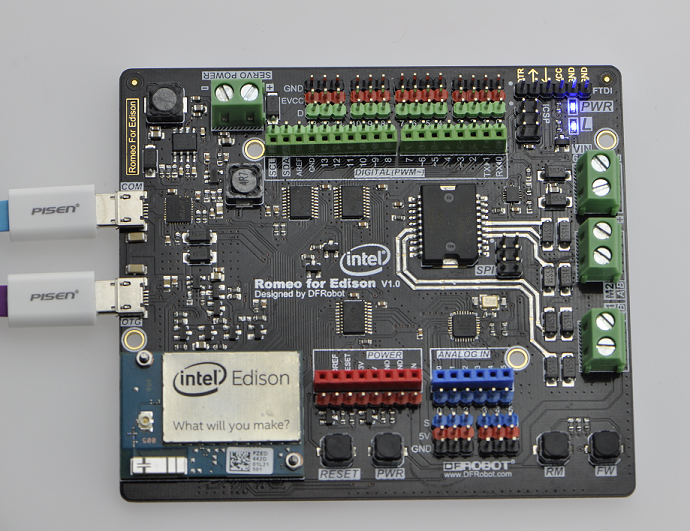 Get Romeo for Edison Controller SKU:DFR0331 from DFRobot Store or DFRobot Distributor.